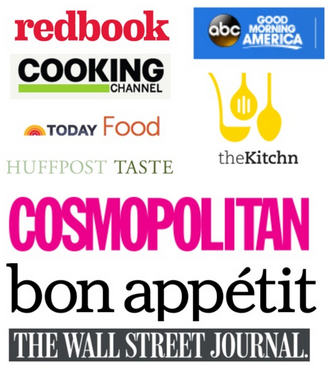 Before I started my Jewish food blog, and developed a love for making lox, brisket and bagels, my passion was baking. I made elaborately decorated cupcakes, chunky chocolate chip cookies and layered birthday cakes. But my rugelach became what I was known for and continues to be my most requested treat. I have had no fewer than two marriage proposals over these cookies. They are that good! (Still single, sorry Bubbe.) But I’m always looking for ways to switch up the recipe and one up myself. With both all-purpose flour and peanut butter out the week of Passover, this recipe seemed like the perfect way to dive back into chametz. Plus, peanut butter and chocolate is arguably the best flavor combination on earth. 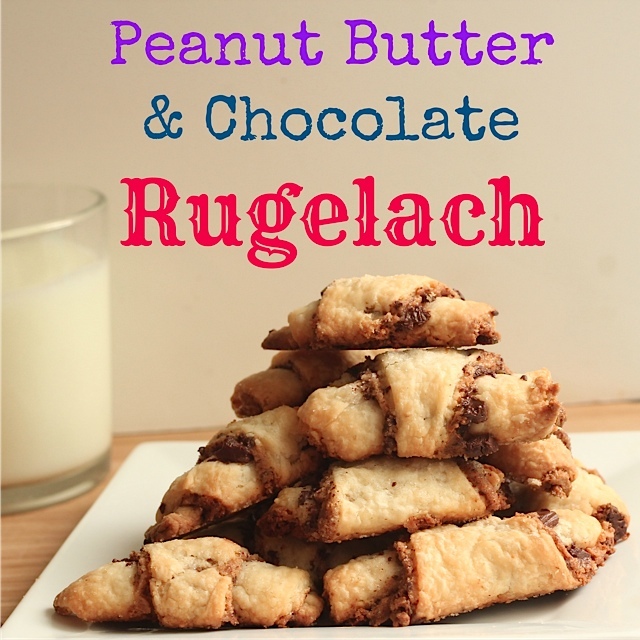 Thus, I bring you Peanut Butter & Chocolate Rugelach! Not surprisingly, these totally delicious and totally addictive. I even froze the ones I didn’t give away to hide them from myself, but the suckers are just as good, if not better, straight out of the freezer. Don’t say I didn’t warn you! 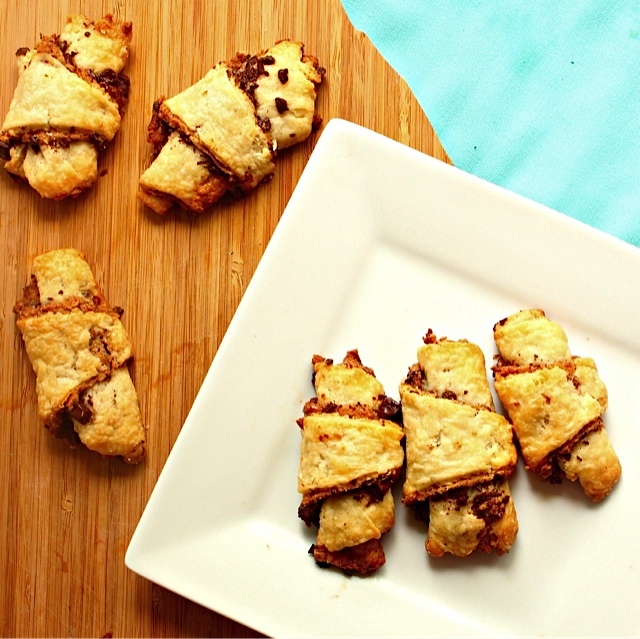 Peanut butter and chocolate rugelach- a cookie so good it inspired two marriage proposals! In a small bowl, combine finely chopped bittersweet chocolate, granulated sugar and cinnamon. With a rolling pin, roll out each disk on a floured surface into a circle, about 9 inches across and ⅛ inch think keeping the other balls in the refrigerator until you are ready for them. Spread a thin layer of peanut butter (about ¼ cup) on the circle, sprinkle evenly with chocolate mixture. Cut the circle into 12 triangles with a sharp knife or pizza cutter. 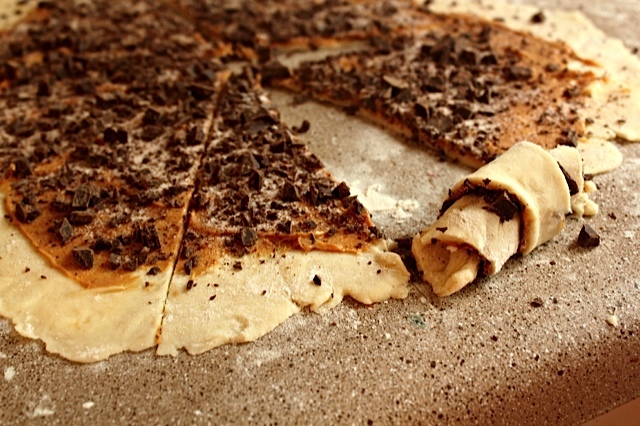 Roll up each triangle from the wide end, and secure the tip into the cookie so you have a little spiral. Place cookies on a parchment lined sheet, with the tip on the bottom, and freeze for 30 minutes to prevent spreading. Whisk together egg yolks and water for egg wash and wash over rugelach. Bake for 20-25 minutes or until golden. Cool and enjoy! 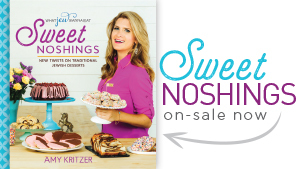 This recipe originally appear in The Jewish Week! Yum, beautiful and love the presentation. Save one for your Bubs. new to this blog and love it. Looks so yummy, definitely going to to try. 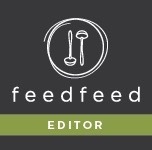 quick probably dumb question – do you have print button for your recipes? I cannot find it. Thanks, Allison! 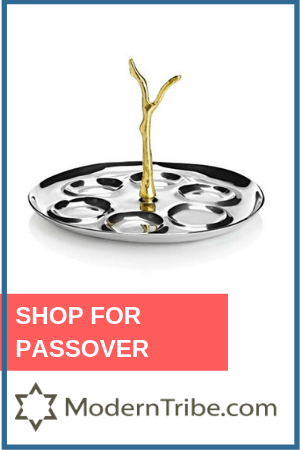 This recipe is on The Jewish Week’s site, but on normal recipes there is a print button on the top right of the recipe. Let me know if you don’t see it! If you are creaming together the cream cheese and butter and sour cream, should they be room temperature instead of cold? Wouldn’t they cream easier that way? The dough is a little crumbly, and it is more pastry like using the cold butter and other items. 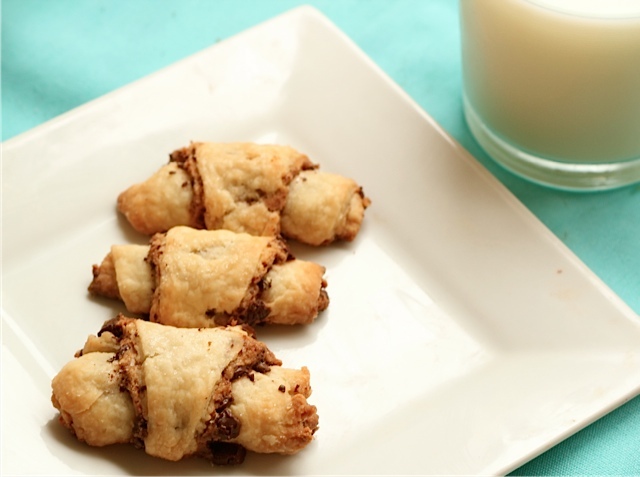 Rugelach is on my “baking bucket list”. This version just got put on the list. YUM! 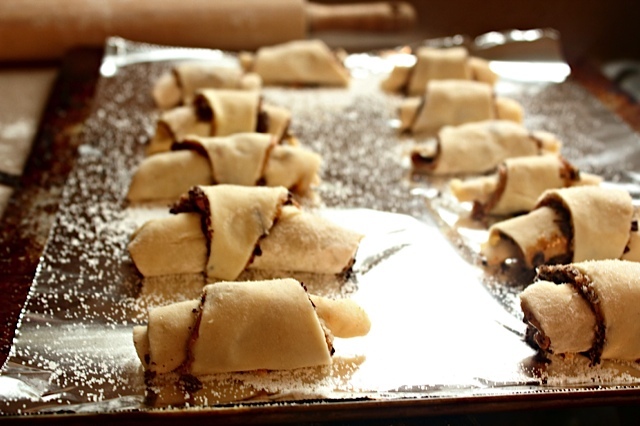 Rugelach is one of my favorite things to make. Enjoy it, Whitney! 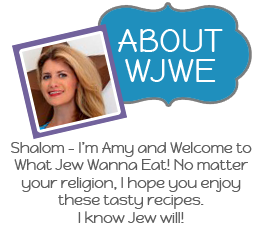 For sure, love PB and chocolate, would be amazing in rugelach!